From the beginning of the modern ortho-dontic era, which began in the early 1900s to the present, orthodontic clinicians have had the perception that the etiology of Class II malocclusions resided in the maxillary arch. Clinicians can imagine how that appreciation began and then escalated over time. Before the introduction of intermaxillary elastics, the only nonextraction treatment came from extraoral traction, which habitually applied to the more prominent maxillary arch. Furthermore, when elastics were later employed, the original intention was to retract the “protrusive” maxillary arch. That mindset continues to this day as many Class II appliances have the intended goal of “distalizing maxillary molars.” But is this etiologic belief warranted? Some studies have questioned that conviction and have suggested that perhaps a retruded mandible or mandibular dentition might bear the main responsibility for Class II malocclusions. Before Dr. Edward H. Angle1 produced and published on the edgewise bracket in 1928, orthodontic clinicians had to rely on linear vectors to move teeth, which often resulted in crown tipping. This sufficed in the correction of many Class II malocclusions (Figure 1). However, the edgewise bracket combined with a twisted edgewise arch wire allowed orthodontists to produce a curved vector known as a moment. When that created moment exceeded the force applied to the teeth by a ratio of 10:1, translation of the teeth occurred with an equivalency of applying force to the center of rotation of those teeth (Figure 2). They tip and extrude the maxillary incisors. They extrude the mandibular molars, which autorotates the mandible down and back. As permissible appliances, they give the patient control over the correction rather than the doctor. In 1981, McNamara2 published an article on the components of Class II malocclusions in 9- to 10-year-old children, which discovered that only 13% of Class II patients had protrusive maxillae. Forty percent of these children had retruded maxillae, while 47% had normally positioned maxillae. The take-away message of this article seems to posit that 87% of Class II patients need no retraction forces on the maxilla. Yet many appliances do exactly that — e.g., Jasper Jumper,3 Herbst,4,5 Forsus,6 MPA,7,8 Eureka Spring,9 etc. (Figure 4). Miethke10 more recently published an article regarding the appearance of frequently retruded mandibles in Class II malocclusions. Figure 8: Patient 1 — cephalometric overlays. Little growth occurred with this patient, but note the profile improvement: almost no change in the maxillary arch, and a protrusion of the mandibular molar and incisors with no mandibular molar extrusion. Equally important, the mandible has not autorotated down and back. 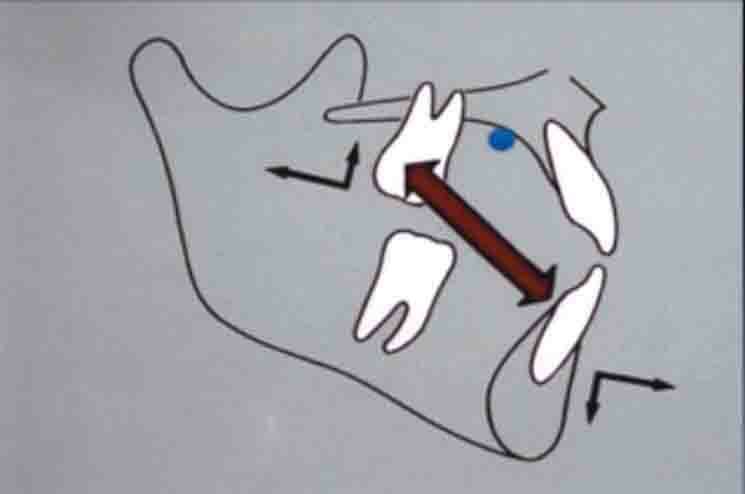 Converting the use of moments that go through the center of rotation of the maxilla rather than the maxillary molar obviates tipping and intrusive forces against that tooth, while simultaneously placing an intrusive and forward vector against the overerupted and retruded mandibular incisors (Figure 5). This avoids correction of the overbite by extruding the molars, which autorotates the mandible down and back. Using the Vektor® Appliance (TP Orthodontics Inc.) requires banding of the maxillary and mandibular first molars. Bond all of the other teeth excepting the mandibular premolars. This prevents them from overerupting and also provides space for the sliding feature of the Vektor. Ordinarily, it takes 6 to 7 months to align the mandibular anterior teeth enough to accept a large arch wire (.022 brackets will require a .021 x .025 wire). Installation of the appliance seldom requires more than 5 minutes. Usually the overjet and overbite will correct within 4 to 6 months. When treating a patient with a retruded or normally positioned maxilla, don’t use retraction. When treating a patient with a retruded mandible, use protraction to move its dentition mesially. 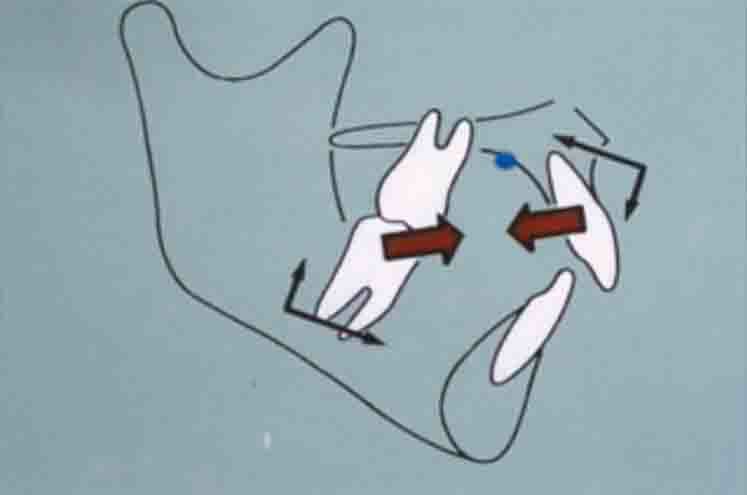 When treating a patient with a steep mandibular plane, avoid extruding the posterior teeth. 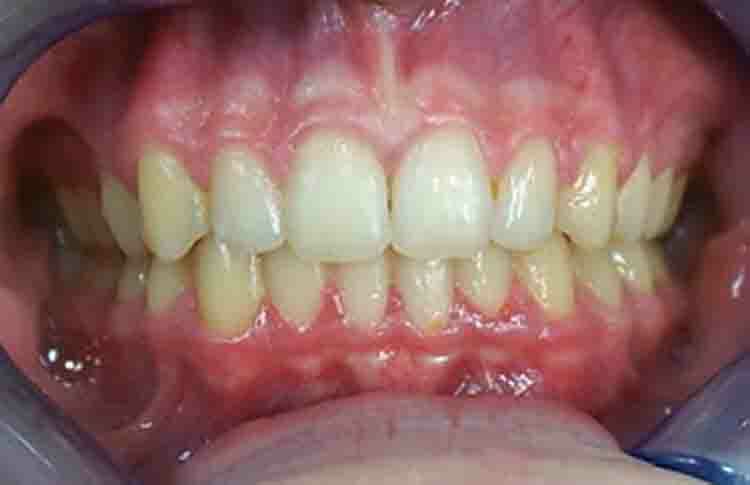 When the posterior teeth have strong Class I interdigitation, patients seldom relapse after Vektor correction. No lab fees with its use. It clears the food zone. Clinicians can expect occlusal corrections within 4-6 months. Patients do not have to remember to employ the force. It provides light, continuous forces. Patients and parents can see fast improvements in the face and occlusion. James J. Jasper, DDS, earned a Bachelor of Science degree from University of California, Berkeley, and a Pharmacology Master Degree from the University of California Medical Center – San Francisco. He then received his DDS and Orthodontic Certification from University of California Medical Center – San Francisco. He has lectured in 35 different countries and 28 states. He has also taught courses to students and professors in 32 orthodontic universities. Dr. Jasper has a private practice in Fairview, Oregon, and holds several patents on Class II correctors, which have been used around the world. Disclosure: Dr. Jasper is the inventor of the patented Jasper Vektor® Appliance. Angle, EH. The latest and best in orthodontic mechanisms. Dental Cosmos. 1928;70:1143-1158. Coelho Filho, CM. Mandibular Protraction Appliance IV. J Clin Orthod. 2001;35(1):18-24. Coelho Filho, CM, Coelho FO, White LW. 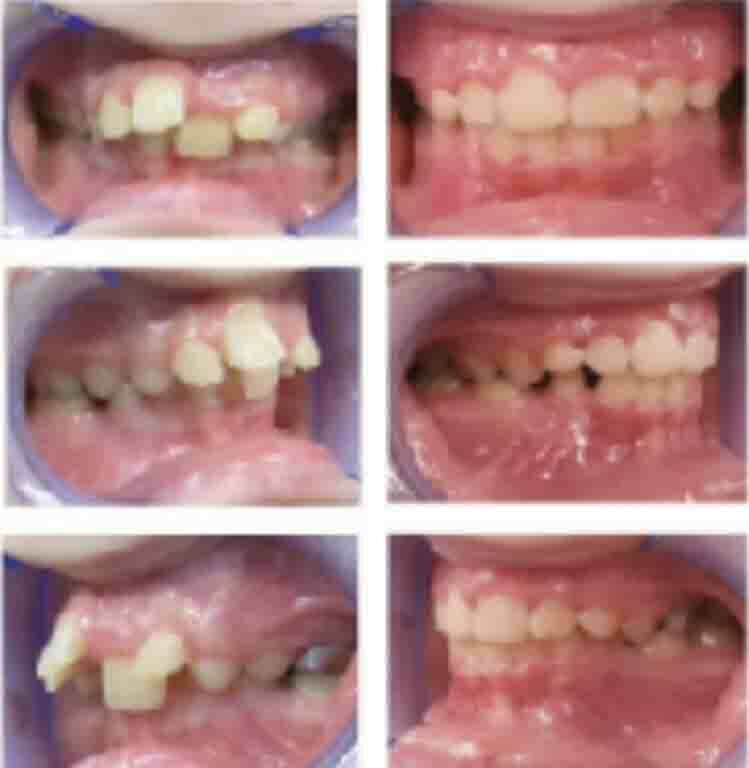 Closing mandibular first molar spaces in adults. World J Orthod. 2006;7(1): 45-58. Cope JB, Buschang PH, Cope DD, Parker J, Blackwood HO 3rd. Quantitative evaluation of craniofacial changes with Jasper Jumper therapy. Angle Orthod. 1994;64(2):113-122. Cacciatore G1, Ghislanzoni LT, Alvetro L, Giuntini V, Franchi L. Treatment and posttreatment effects induced by the Forsus appliance: A controlled clinical study. Angle Orthod. 2014;84(6):1010-1017. McNamara, JA Jr. Components of Class II Malocclusion in Children 8–10 Years of Age. Angle Orthod. 1981;51(3):177-202. Miethke RR, Lemke U. 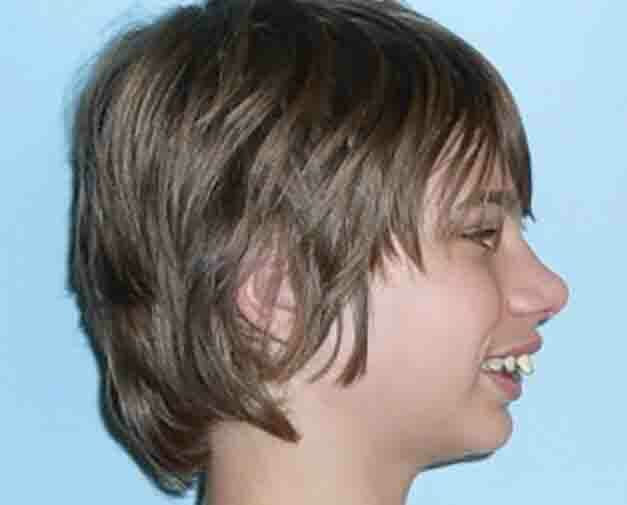 The Angle Class II division 1 is most often caused by mandibular retrognathism. Orthodontics. 2004;1:133-140. Pancherz H, Hansen K. Occulsal changes during and after Herbst treatment: A cephalometric investigation.” Eur. J. Orthod. 1986;8(4):215-228. Stromeyer EL, Caruso JM, DeVincenzo JP. A cephalometric study of the Class II correction effects of the Eureka Spring. Angle Orthod. 2002;72(3):203-210. Valant JR, Sinclair PM. Treatment effects of Herbst appliance. Am J Orthod Dentofacial Orthop. 1989;95(2):138-147.